In National League Division 2 the last game of the season takes place this Saturday at Nunholm against RH Corstorphine. In arguably the club’s biggest ever league game it means a show down between third placed Dumfries and the side in second place with the winner claiming that second spot. The winning side plays in the promotion play-off for Division 1. A victory on Saturday would give the Dumfries side the opportunity to be promoted to the highest league they have played in during their 156 years. For skipper Beveridge “these are the games you play amateur cricket to be involved in”. For the second week the APD Dumfries league fixture was washed out, this time at Prestwick, as was the Murgitroyd Scottish Twenty20 Finals Day on Sunday. APD Dumfries now compete for the Scottish title with Greenock, Dunfermline and Corstorphine on the 13th September. The Western Union Division 2 match at home between JMS Nunholm and Anniesland saw a masterful innings of 170 not out by Chris Bellwood. 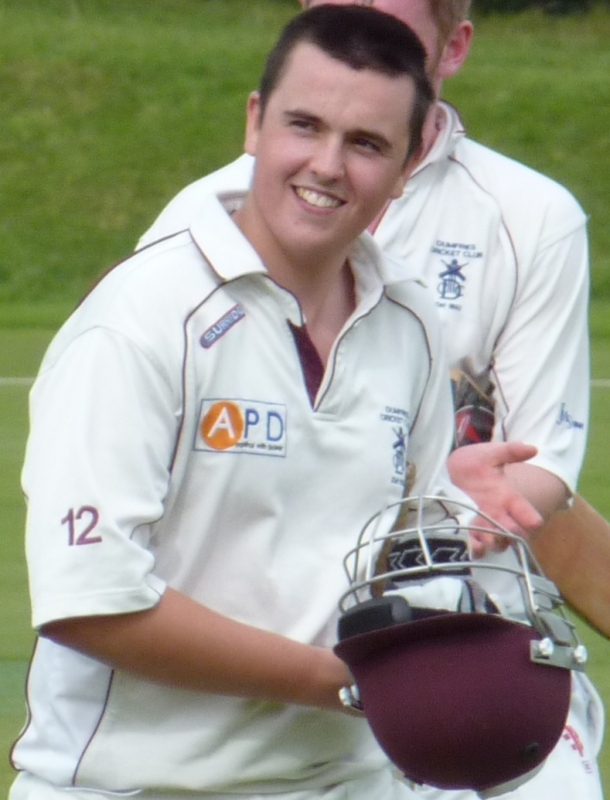 The young opener dominated the home side’s innings of 284 for 6 scoring 29 fours and one six for what is regarded as the second highest score for the club after the 191 not out from Russell Johnston earlier this season. In his final partnership with Robert McBride (42no) the pair smashed ninety runs in the last nine overs to set a challenging total. 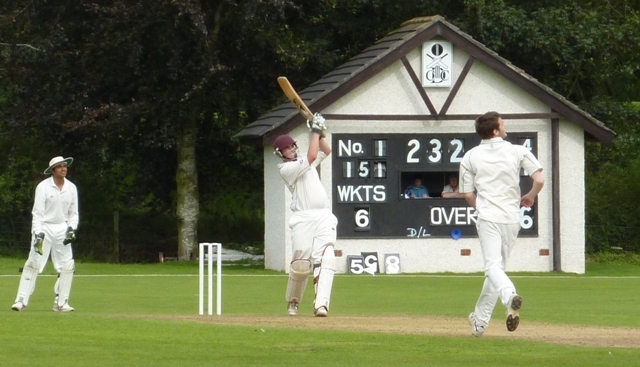 In reply Alan Maskrey made the early breakthrough with two wickets in one over and ended up taking five in the Anniesland score of 138 all out to give Nunholm a win by 146 runs. Monday was the last junior cricket night at Dumfries for the season with an excellent turnout on a sunny evening. Thanks go to the coaching team and the club’s junior sponsors Annandale Insurance and Coatbridge Cold Store Construction for their continued support this year.